Are you selling your home? If so, you need to utilize every available tool you have to encourage potential buyers to view your home. One of the tools many real estate agents use is to host an open house. The benefits of having an open house are often debated in the real estate community. Some realtors believe that an open house is the best way to sell a home quickly and efficiently. However, other agents believe an open house is a waste of time and money. Below is a discussion of the merits of having an open house, tips for a hosting a successful open house, suggestions for unique open houses, and the difference between a traditional open house and a broker’s open house. 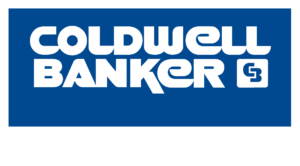 What is a Broker's Open House? An open house is usually defined as a specific time and date set for buyers to “drop in” to view the home. A real estate agent is present to greet potential buyers to answer questions and highlight the positive aspects of the home. Buyers do not need an appointment to see the home; therefore, many buyers prefer to attend an open house. In addition, because there are many buyers for the real estate agent to chat with, some buyers do not feel as pressured as they would in a private showing. They are free to wander through the home taking as much or as little time as they prefer in each room to consider whether this is the new home for their family. The time and day for an open house vary greatly. However, hosting an open house on the weekend or in the evening may attract more people because these are times when people are not busy with work or family responsibilities. In most cases, an open house only lasts about two hours. By limiting the open house to a brief period, you can encourage larger crowds which can turn into heightened interest and multiple bids. In addition to attracting buyers who might not want to schedule an appointment to view a home, an open house can attract many buyers over a brief period. When you have that much interest in a home, it can encourage buyers who are interested in the home to offer full list price, or slightly higher than list price, very quickly to prevent another buyer from securing a contract for sale. An open house can also create a bidding war between two or more buyers, which can drive the sales price of the home higher than the listing price. A benefit of an open house is that you can save money preparing a home for showings. It can be time-consuming and costly to prepare a home for multiple showings. However, an open house provides a way to obtain multiple showings for the effort of one showing. An open house can also minimize the disruption to the sellers’ lives. Most real estate agents advise sellers to leave home during a showing. Buyers feel uncomfortable discussing what they like and dislike about the home when the owners are present. In addition, potential buyers may find it more difficult to envision themselves living in the home when the sellers are present. Therefore, with an open house, sellers only need to leave home for a few hours on a single day instead of leaving home multiple days for private showings. An open house can help convince potential buyers that the home is desirable. Most buyers believe the real estate agents “sales pitch” is designed to make them believe there is a lot of interest in the home. However, it is very difficult to deny that there is a lot of interest in the home when people are bumping into each other as they go through the house. For buyers, attending an open house can help educate first-time buyers in the home-buying process. They have a chance to gain information and knowledge from experienced realtors as they view potential homes. 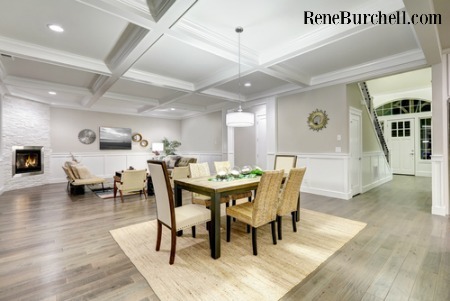 When you host an open house, you have additional time to stage your home the way you want it to appear to potential buyers. When you have traditional showings, you may have very little notice when someone wants to view your home. However, when you schedule an open house, you have a week or more to declutter, stage, clean, and prepare your home to maximize interest. As a buyer attending several open houses on the weekend, you can contrast and compare homes in the area where you want to live. You can use your time wisely by going to several open houses in one weekend instead of trying to work several showings into your schedule over several days or weeks. Deciding whether to have an open house can be a difficult decision. Many factors must be considered to determine if an open house is right for you. Working with an experienced real estate agent is the best way to sell your home. Your realtor can analyze your situation to help you decide if the benefits of an open house outweigh any potential cons of hosting an open house. The type of open house you host depends on several factors, including the neighborhood, the value of the home, and type of potential buyer you want to attract. Most open houses are exactly as it sounds — the home is open for potential buyers to view at their leisure. Clear away all clutter throughout your home. It is very difficult for people to move through your home when there is a lot of clutter. You may need to move furniture to make areas more accessible. Walk through your home as you pretend to be a potential buyer. What areas would you want to access to as you look at the home (i.e. cabinets, closets, etc.)? Make sure that people can easily get to those areas without stumbling over furniture or clutter. Put away family photographs and personal items. It can be very difficult for someone to envision living in a house when the house “looks” like another person’s home. Replace family photographs and personal mementos with appealing décor. Consider removing expensive and valuable items before your open house. Unfortunately, some people who attend an open house are not there for the right reasons. Avoid theft by removing items like jewelry, expensive paintings, and other valuables. You might also want to remove precious family heirlooms to avoid breakage or damage. If your home is large or multilevel, you might want to consider strategically placing a real estate agent on each floor to help monitor traffic and answer questions. If you have a pet, put away all evidence you have a pet (i.e. bowls, beds, toys, etc.). Just because you love dogs, cats, hamsters, or other animals that does not mean a potential buyer loves animals. Some buyers will leave a home if they see evidence of indoor pets. • Do not underestimate the smell of fresh bread or cookies. Discuss using “homey” scents to create a pleasing environment. Also, consider placing light snacks and appetizers in the kitchen to encourage visitors to linger longer to discuss the home with the real estate agent. Perform a deep cleaning throughout your home. Clean all surfaces to remove dust and make surfaces shine and sparkle. A clean home has a significant positive impact on potential buyers. Remember to make the beds, fluff the pillows, and add fresh flowers to brighten your home for the open house. Do not forget the outside of your home when preparing for an open house. Curb appeal is a huge aspect of showing a home. The front of your home is the first thing a person sees when coming to the open house. You want the outside of your home to appear as neat and inviting as the inside of your home. Make sure that your grass is cut, leaves are removed, landscaping is trimmed, and toys and other items have been stored out of sight. You might want to consider adding blooming flowers to the front of your home to increase the curb appeal. Your real estate agent will provide additional suggestions for making your open house an enormous success. Having an experienced real estate agent can increase the chance that you will have a profitable open house. Sometimes, thinking outside the box can place your home at the top of the most desirable homes list in your area. Real estate agents who want to attract as many people as possible to an open house might consider an unconventional open house. For example, if you live in a neighborhood that attracts families with young children, consider a carnival theme. Set up small attractions in the backyard such as a clown with balloon animals, face painting, lemonade stand, and sidewalk chalk drawing to attract families with small children. On the other hand, if you are selling a condo in the downtown area, you might want to host an open house with a coffee bar and juice bar or appetizer bar with foods from local restaurants to give potential buyers a “taste” of the cafés, restaurants, and shops close to home. For houses that are empty, partner with a local gallery to have an art exhibit. Another idea for empty houses is to use several interior designers or design firms to decorate a room in the home to show off their skills to potential buyers. Partner with local businesses to have raffles to attract more people with the intent of introducing them to the area restaurants, shops, and businesses. Create small goodie bags with business cards and samples from area businesses. If your open house is being held close to a holiday, use a theme for your open house. For example, if the open house is close to Halloween, serve themed beverages and snacks, provide trick-or-treat bags, and add some Halloween decorations. The key is to stimulate as much attention and curiosity as possible to increase the level of traffic for your open house. The more people that walk through your door, the higher chance you have of selling your home for top dollar. A broker’s open house is a private open house intended to generate interest within the brokerage community. Instead of opening your home to anyone interested in looking at your home, your listing agent hosts an open house for other real estate agents and brokers. 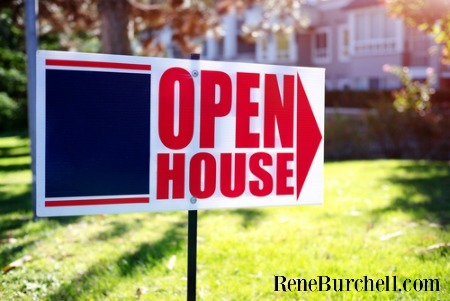 Because many buyer’s agents show homes they are familiar with to their clients, hosting a broker’s open house can generate interest with buyer’s agents, thereby increasing the number of showings you may receive in the weeks after the broker’s open house. In addition, because everyone attending the open house is a real estate professional, it gives your listing agent the opportunity to communicate the reasons why your home is an ideal property for agents to show their clients. Agents can speak in technical terms that can help communicate the merits of your home more effectively. If you decide you want to host a second open house for potential buyers, that option is still available to you even if you host a broker’s open house first. If you are ready to host an open house or a broker’s open house, you should discuss the subject with your real estate agent. An open house may be the best way for you to generate interest in your home so that you can sell your home quickly. Remember, as you prepare to sell your home, if you are searching for a new home, talk to your realtor about attending open houses to look for your new home. In addition, attending several open houses might give you ideas for your own open house. Call Rene Burchell today at 469-877-3303 to tour available houses for sale in Frisco and surrounding areas.